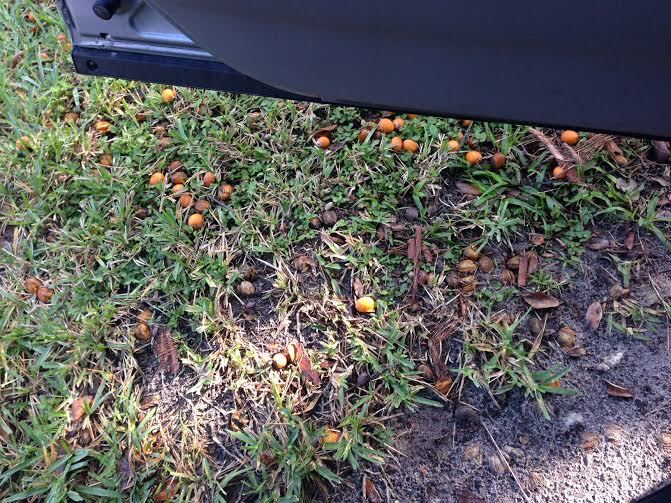 TGIF … What’s Up with These Little Pumpkins? No running yesterday per my coach. Even though I had a pretty awesome 4-mile run on Wed. with no ankle pain, she thinks I should still give it some time to heal completely. So instead I did 30 mins on the elliptical while watching It’s Always Sunny in Philadelphia. 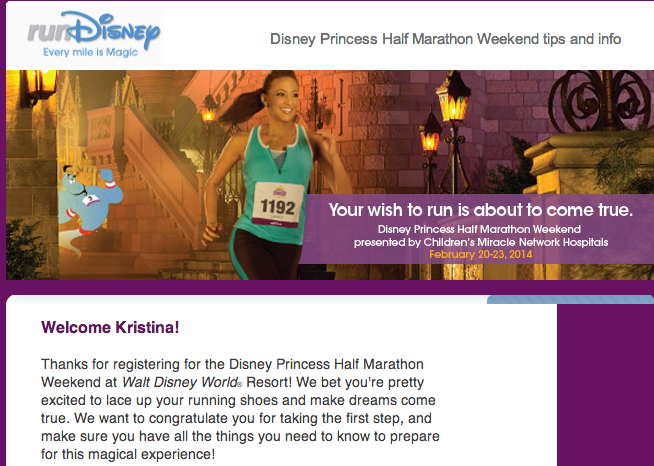 It feels like forever ago that I signed up to run the Princess Half which will take place in Feb 2014. After I ran my first 5K I decided that I wanted to run 13.1 and I thought Princess would actually be my first. Then I received the opportunity to run the Fort Lauderdale Half as an ambassador… and how could I refuse? What is the farthest you’ve signed up for a race in advance? Have you ever run in a Disney race? Previous Post Do You Have a Standard Running Loop? Princess was my first race this year! My very first half! It’s such a fun race, you will LOVE it! I can’t wait! 🙂 It is going to be my first time running with friends and it’s at Disney, so how could it be bad?! Awe, have have! I can’t wait to follow your training again and get a redemption race out of this one! Many of my friends have run Disney…it’s just too expensive for me to get into though! Maybe someday! We have to meet up at the PHM! I cannot wait!